Dianne Glasscoe Watterson offers the best of both worlds – clinical and professional. Her background in the dental profession has given her a broad perspective related to dental practice dynamics. In addition, her affiliation with several professional speaking organizations has helped Dianne develop platform skills to a level that keeps her audiences interested and engaged. 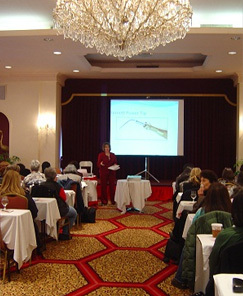 Dianne speaks on a broad range of practice management and clinical topics related to dentistry.